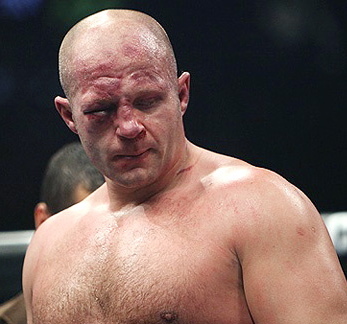 What Happened to Fedor Emelianenko? 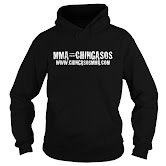 | MMA Fighting Events Videos Techniques UFC Fight Picks and News. If you saw Dan Henderson vs Fedor Emelianenko on Saturday, you witness the continued downward spiral of one of the best MMA (Mixed Martial Arts) fighters ever. The questions are now arising as this is his third loss in a row. What happened to Fedor? What will he do next? Does he still want to be an MMA fighter. Only a year or so ago Fedor Emelianenko was still considered the best MMA fighter ever. Most fans of MMA didn't even attribute the "best pound for pound" statement to him, he was just simple the best MMA fighter period. But what happened to Fedor? Saturday night, an older and undersized fighter past his prime finished off Fedor in the first round. That was a surprise to many except possibly for Dan "Hendo" Henderson fans. Fedor just didn't look the same. He didn't look like the aggressive dangerous fighter that would step inside the Pride ring and dominate. Maybe Fedor just doesn't have it anymore. Maybe he's lost the love for competing in MMA. Maybe the competition has just gotten much better, while his skills have remained unchanged. I can't really say what has happened to Fedor, but, I would like to see him fight again. He looks extremely pudgy fighting at Heavyweight and maybe the best thing for him is to re-invent himself at Light Heavyweight (205 lbs).